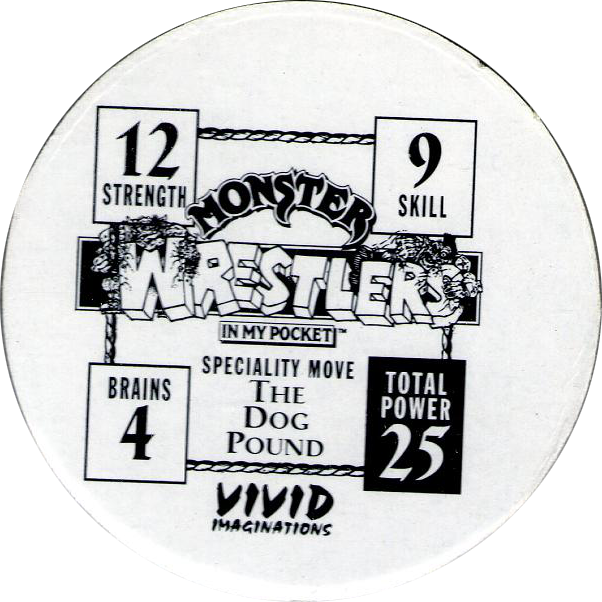 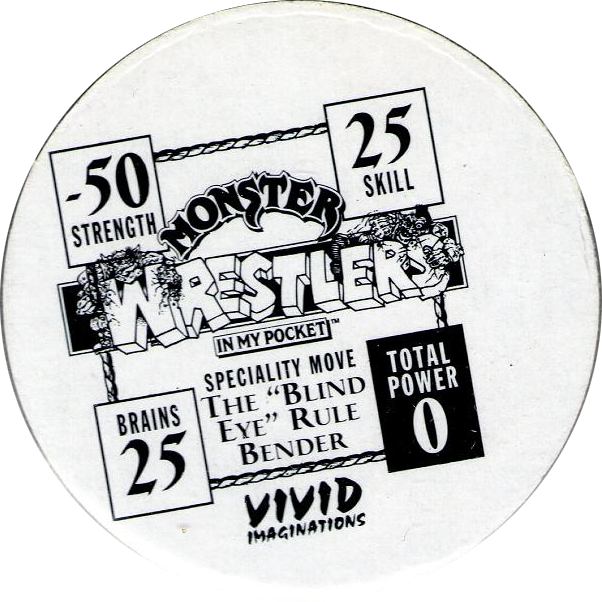 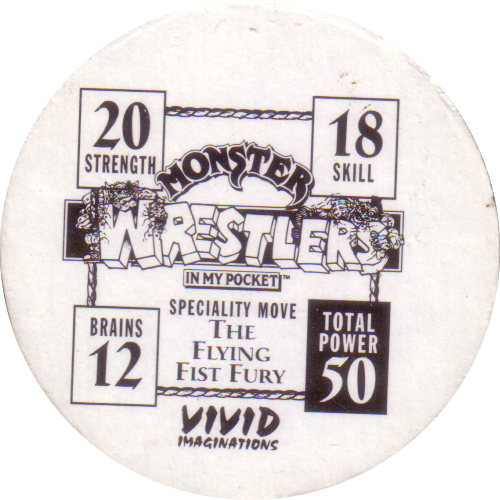 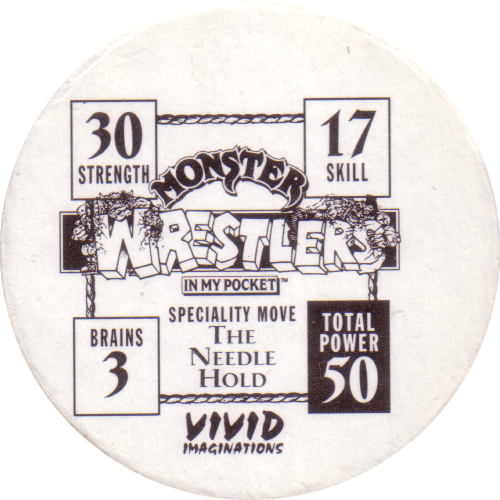 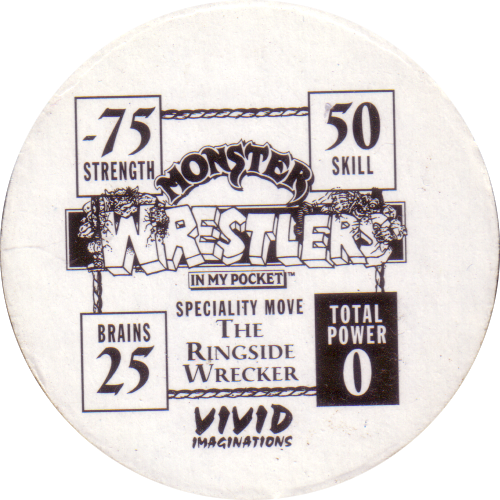 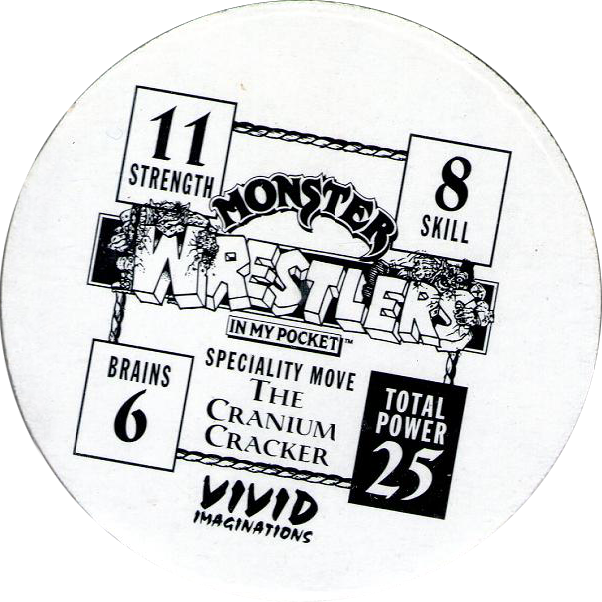 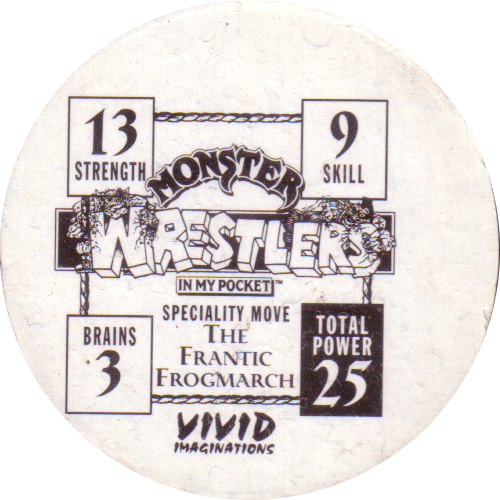 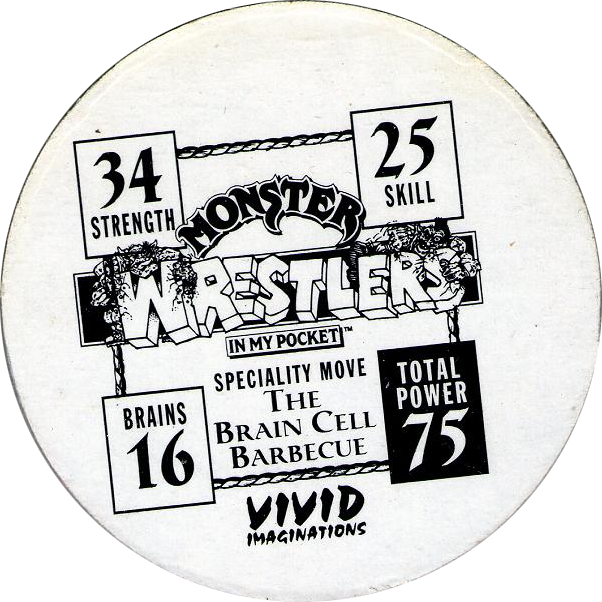 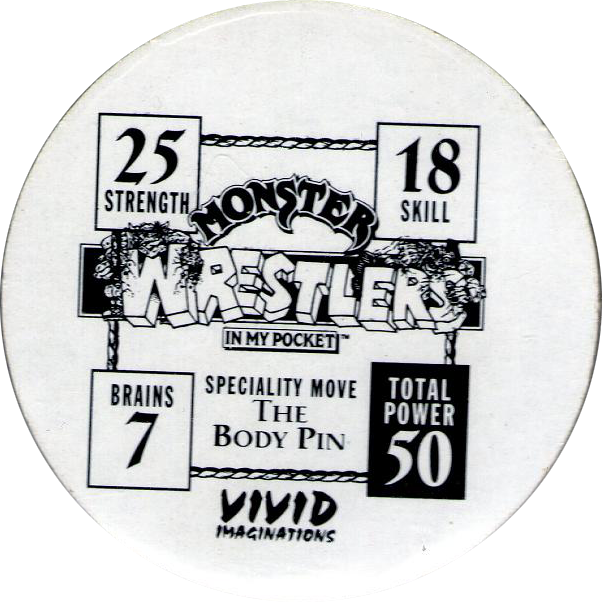 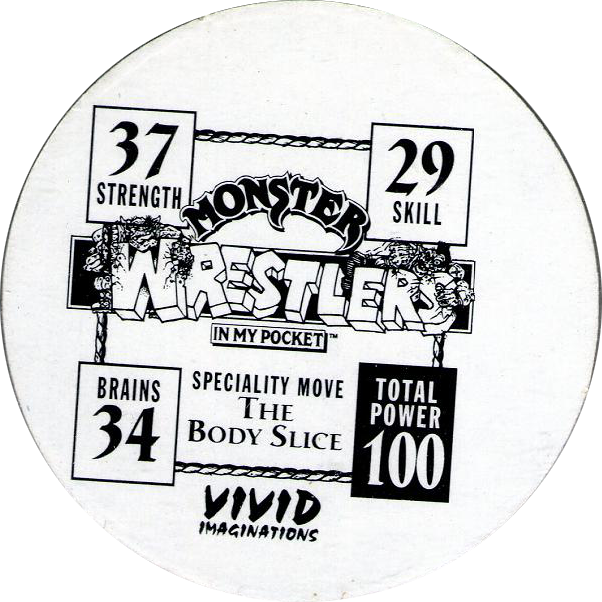 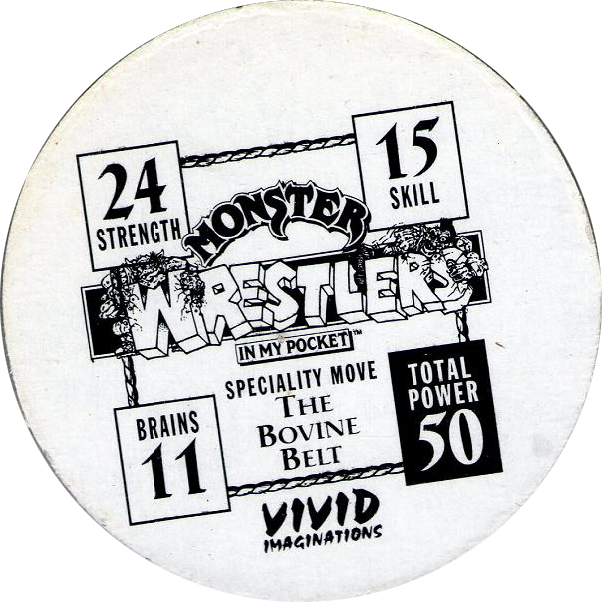 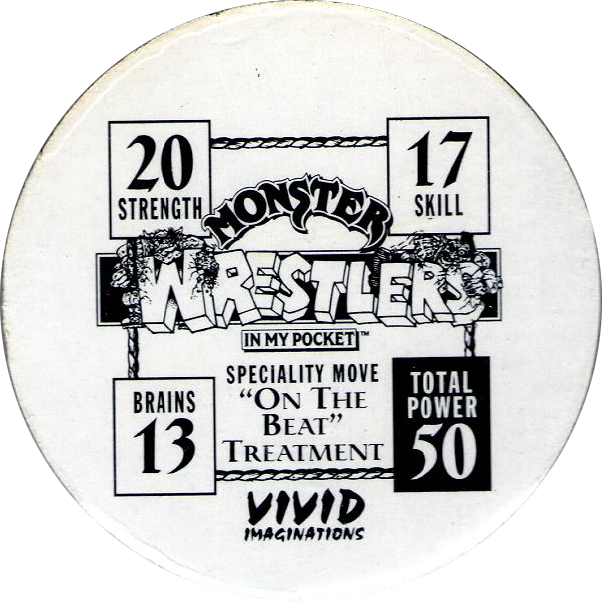 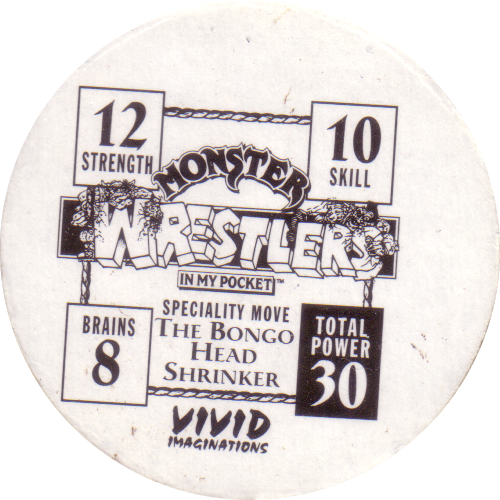 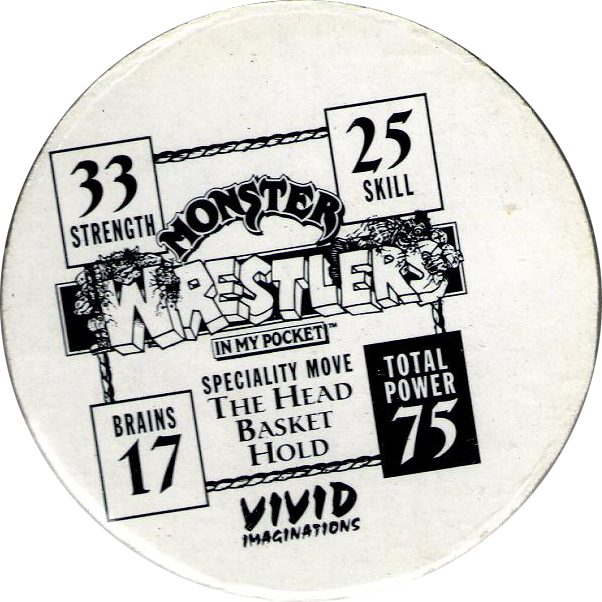 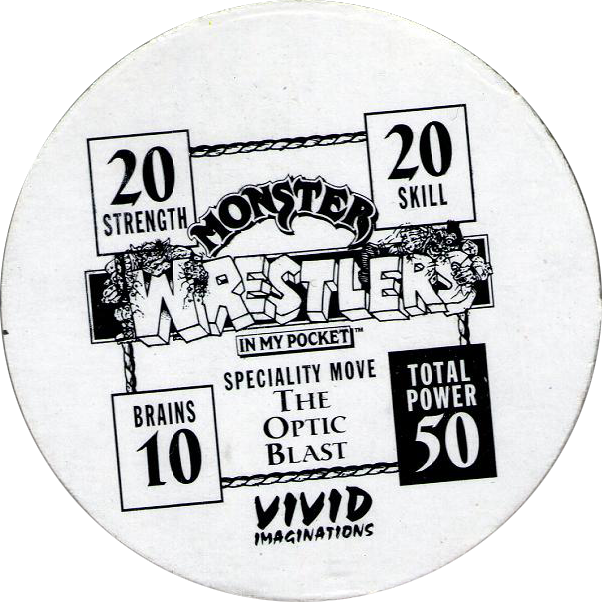 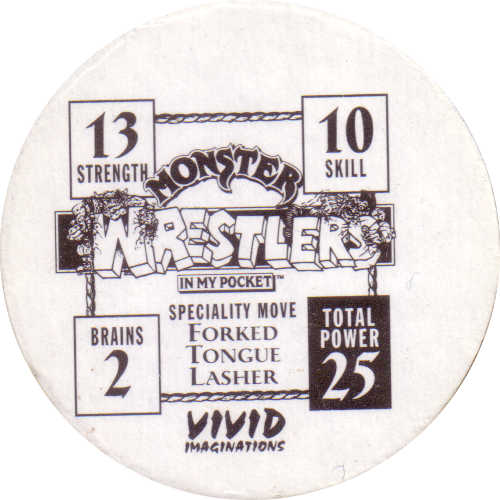 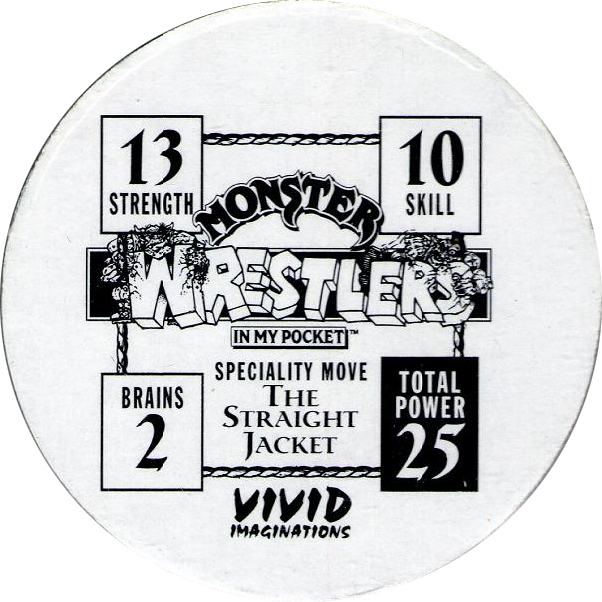 Info:Monster Wrestlers in my pocket was a series of toys sold by Vivid Imaginations during 1995. 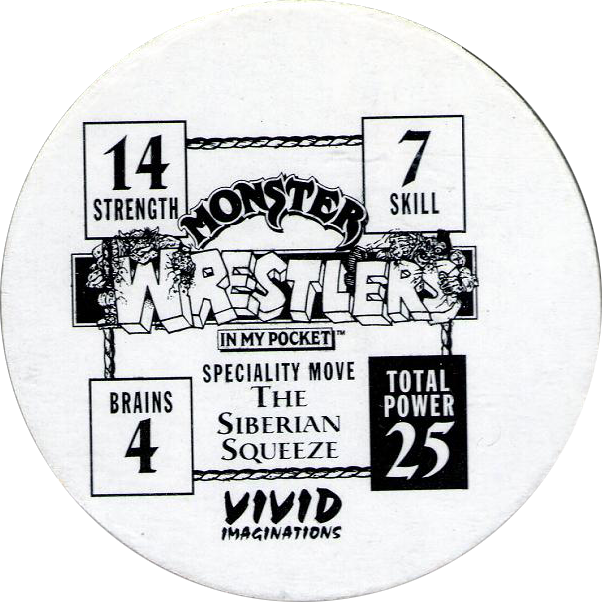 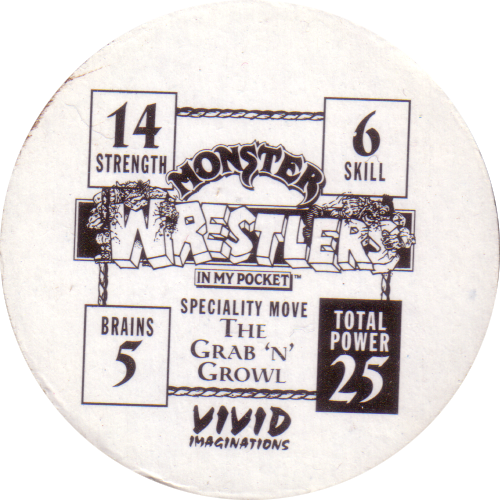 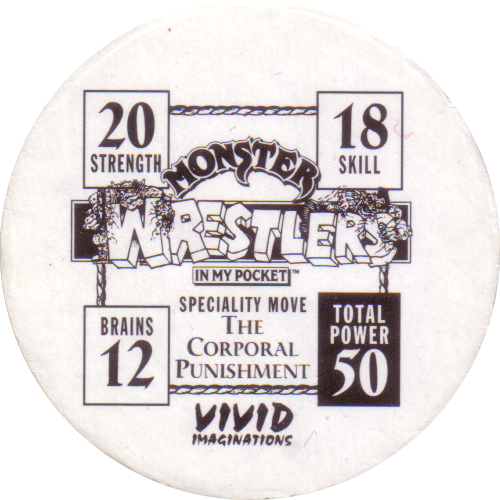 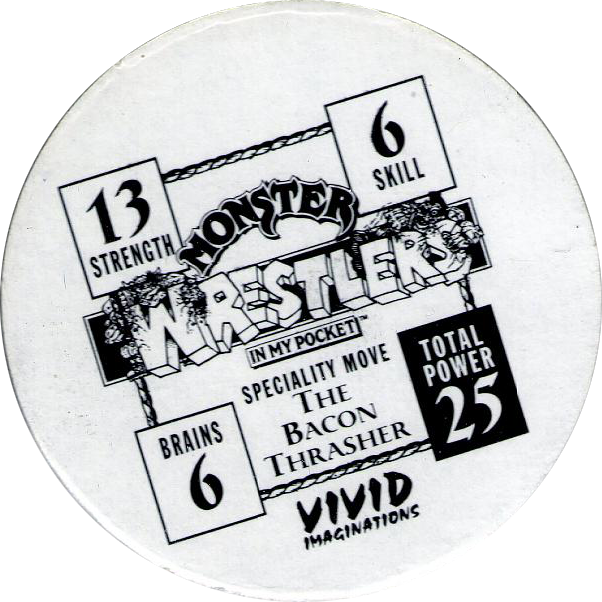 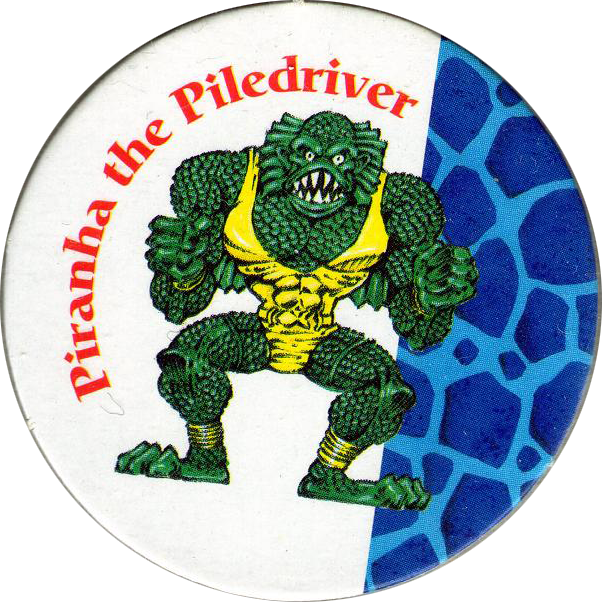 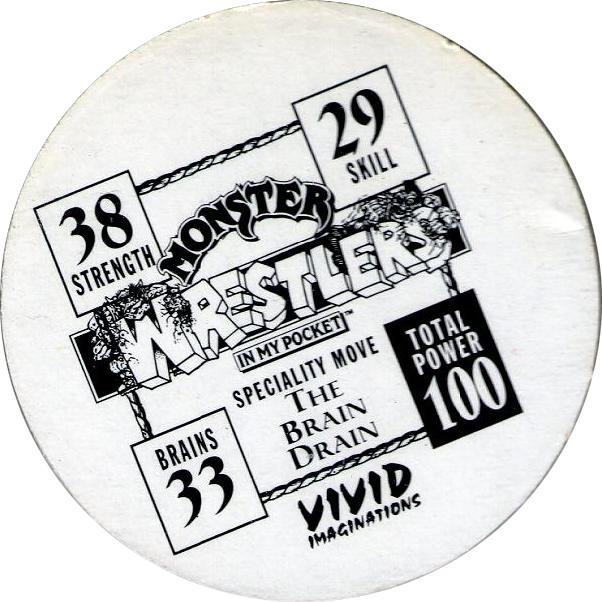 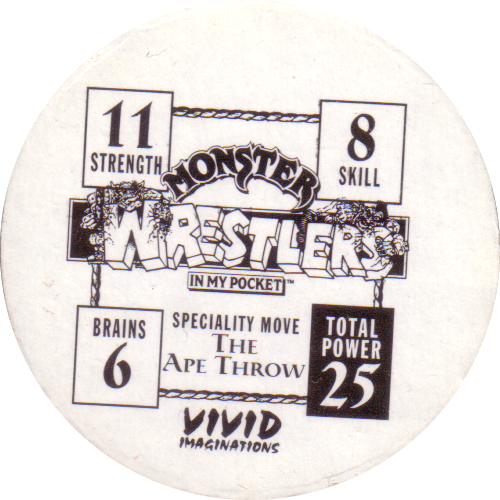 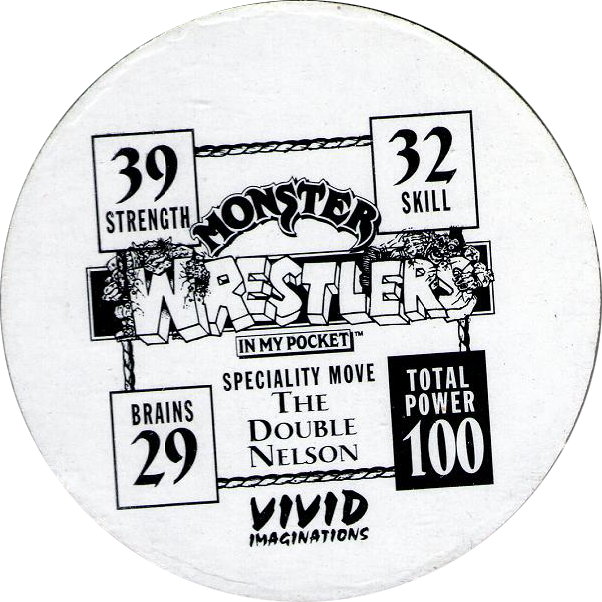 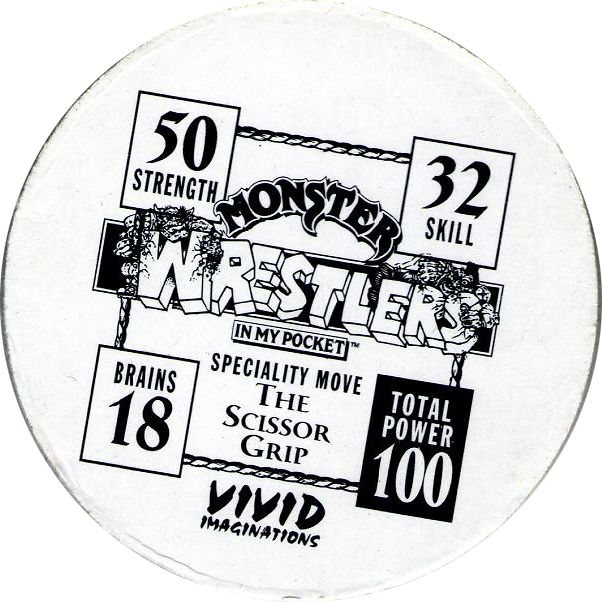 Each toy came with four Monster Wrestlers in My Pocket pogs. 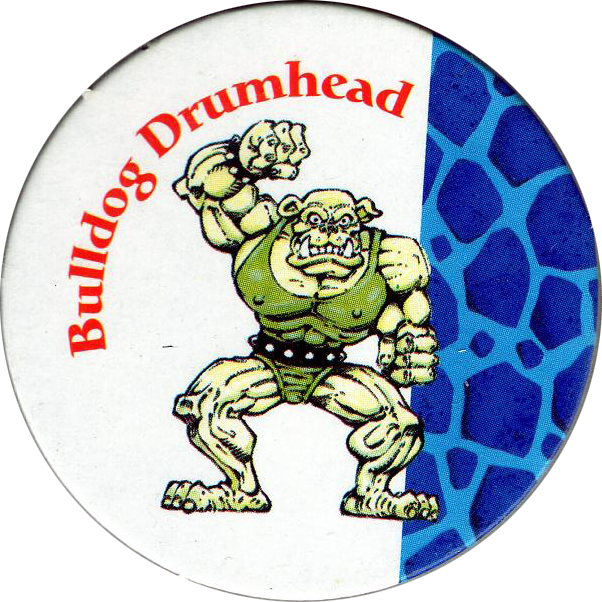 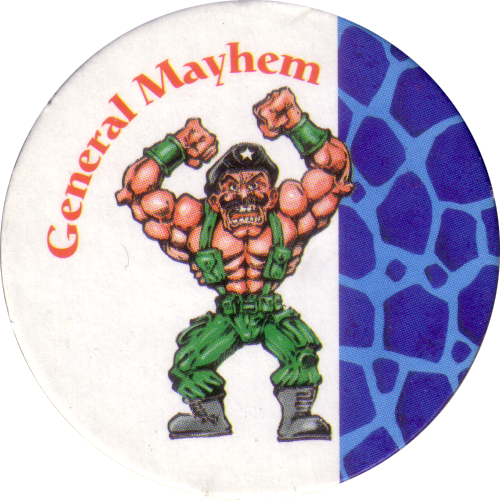 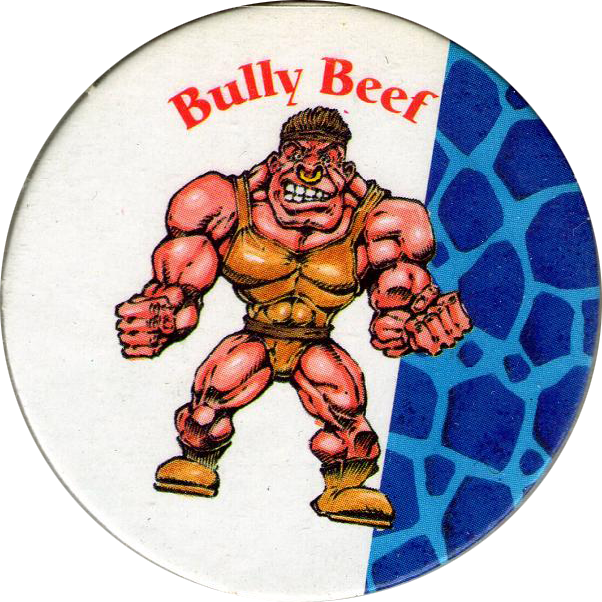 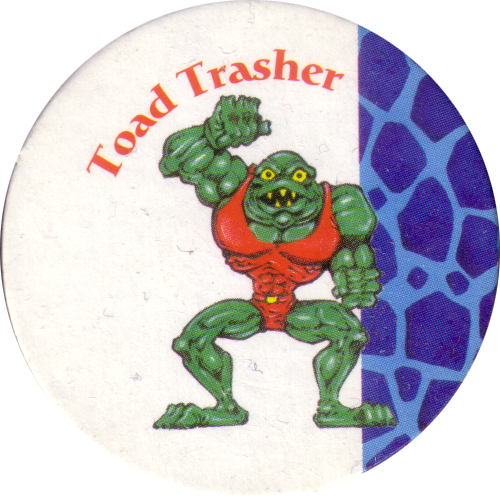 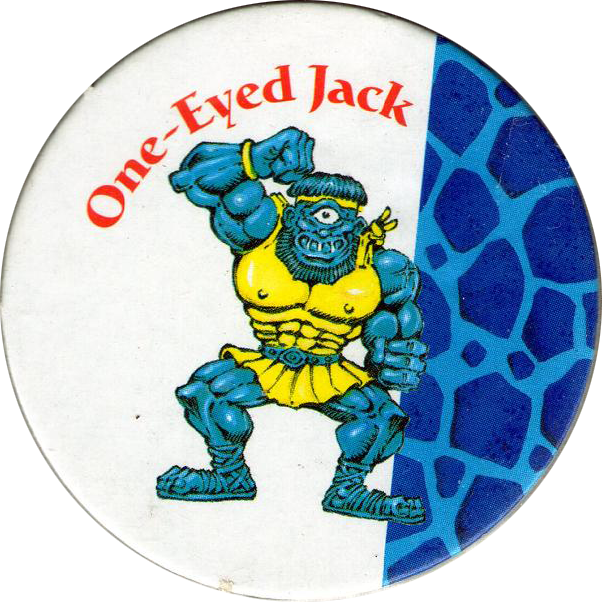 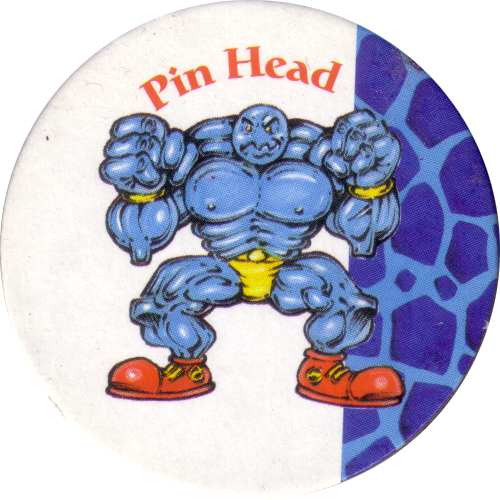 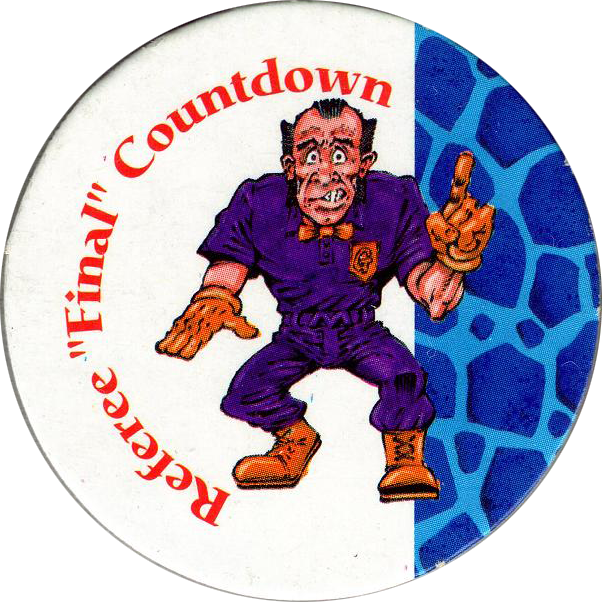 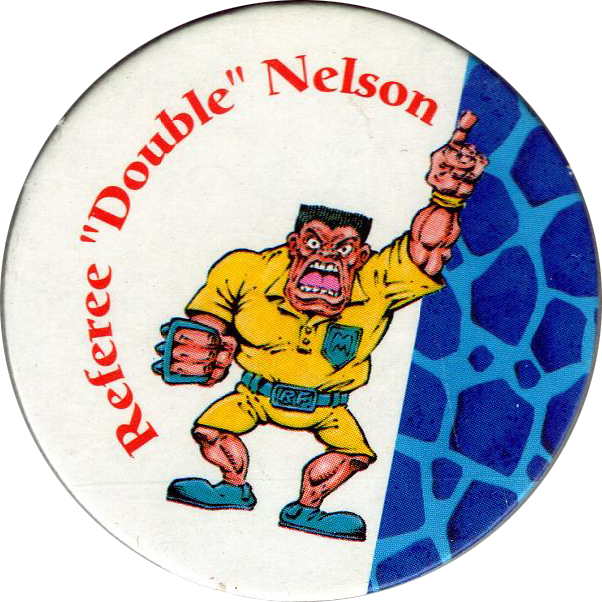 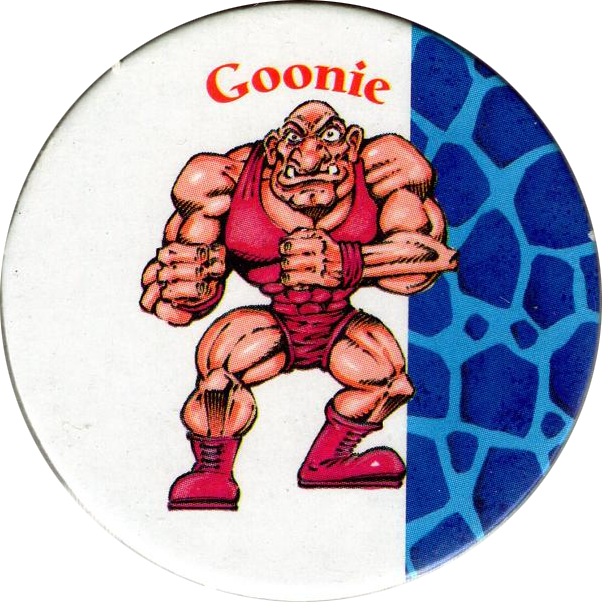 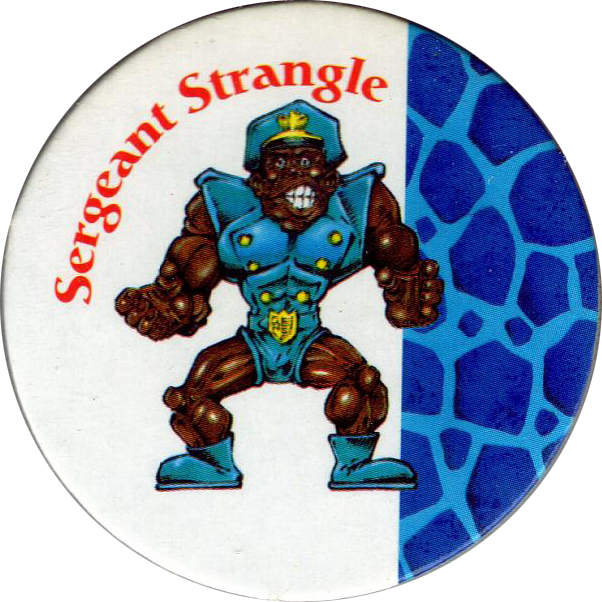 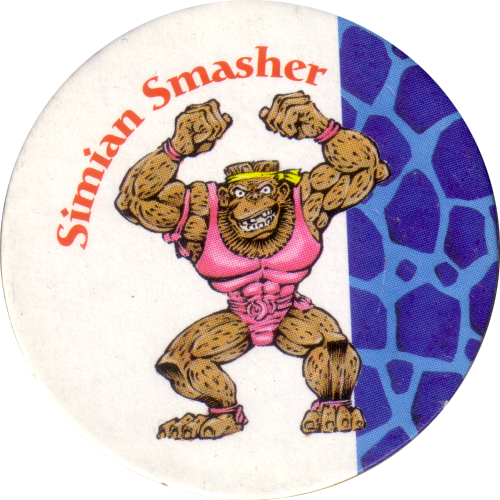 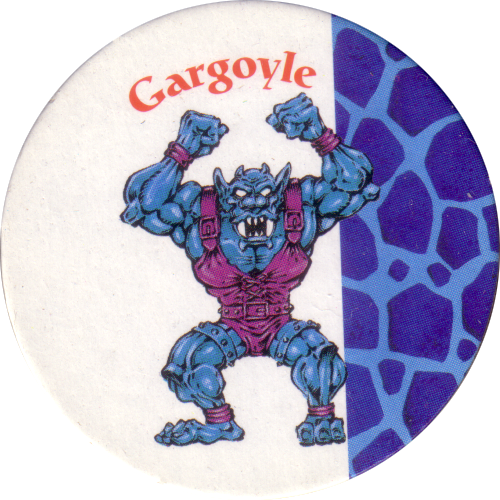 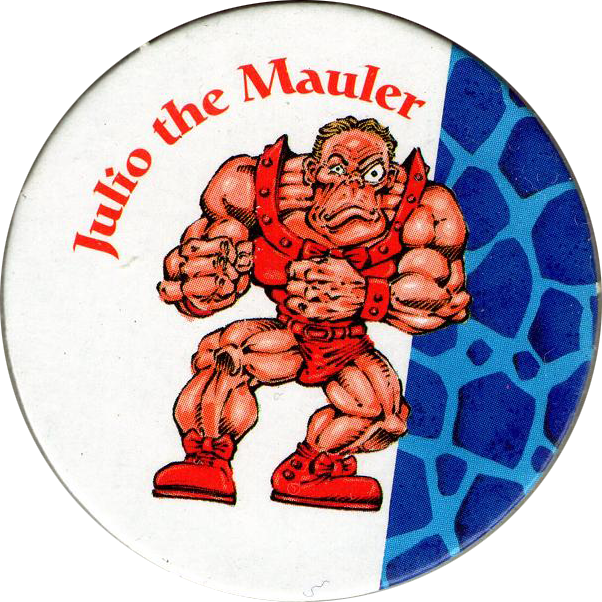 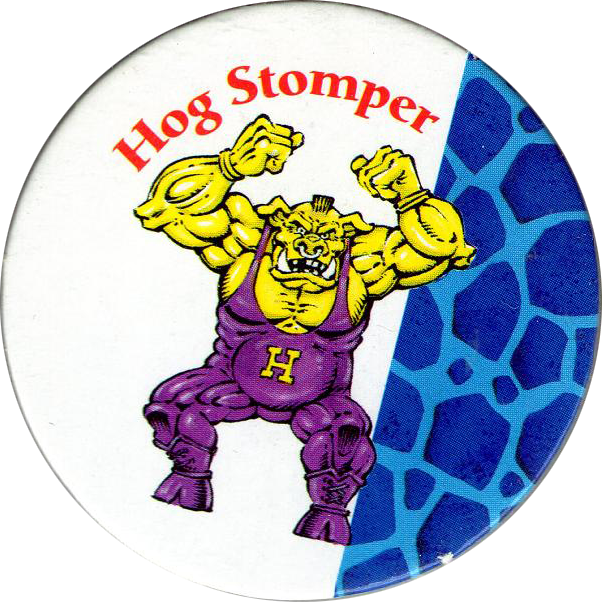 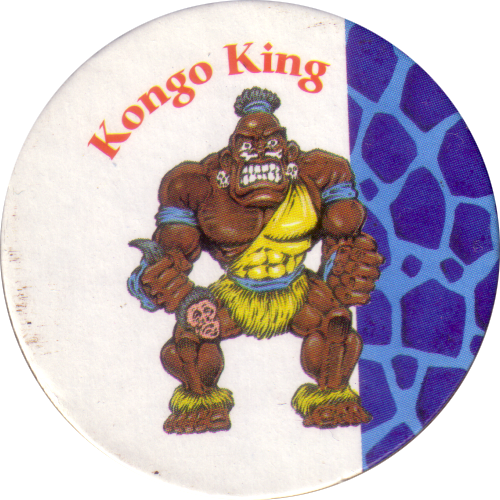 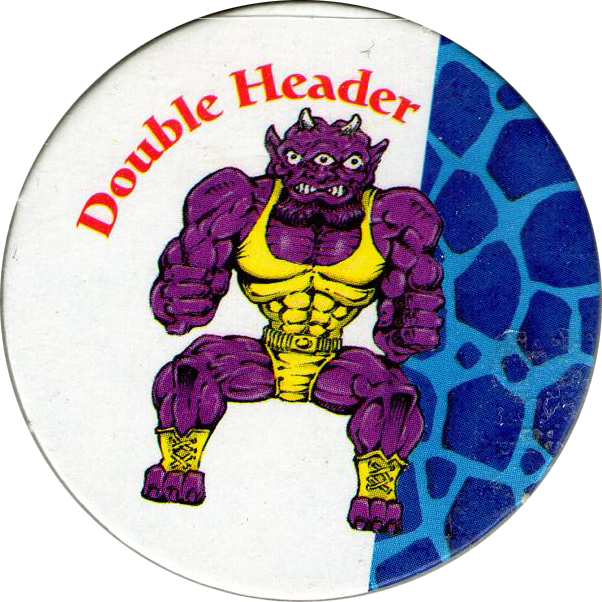 On the front of each pog it features a close-up of the character the pog came with. 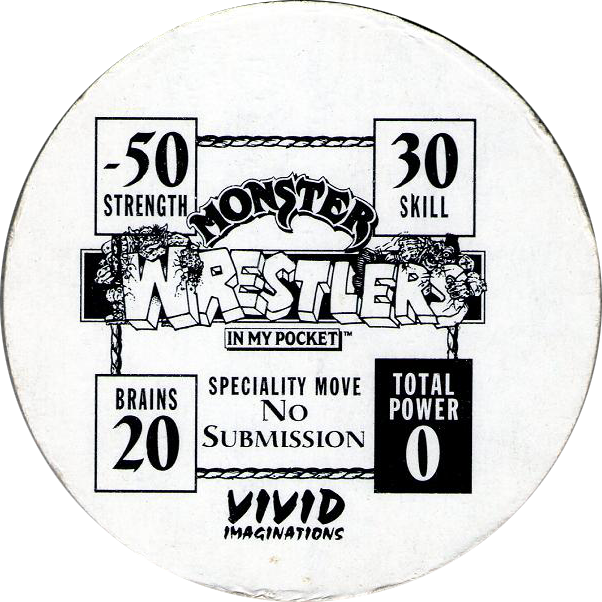 The back is printed in black and white and gives the Strength, Skill, and Brains point scores for the character, along with their speciality move. 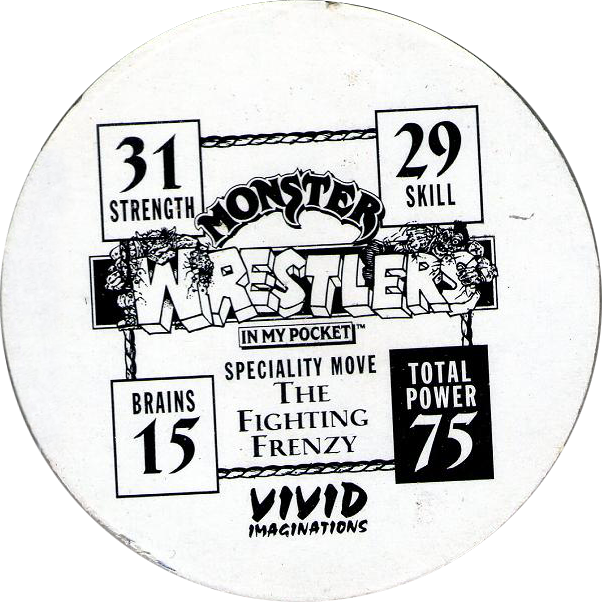 Thanks to Vincent for most of the scans of the full set below. 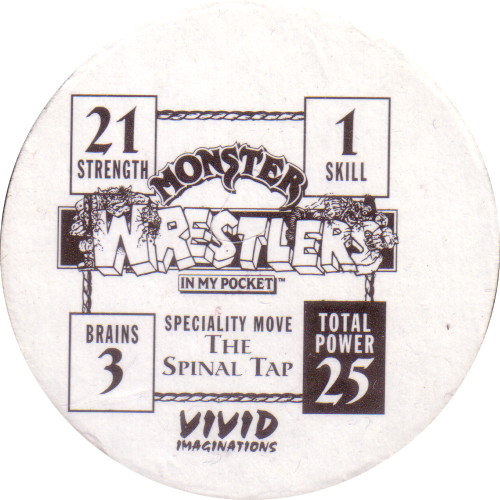 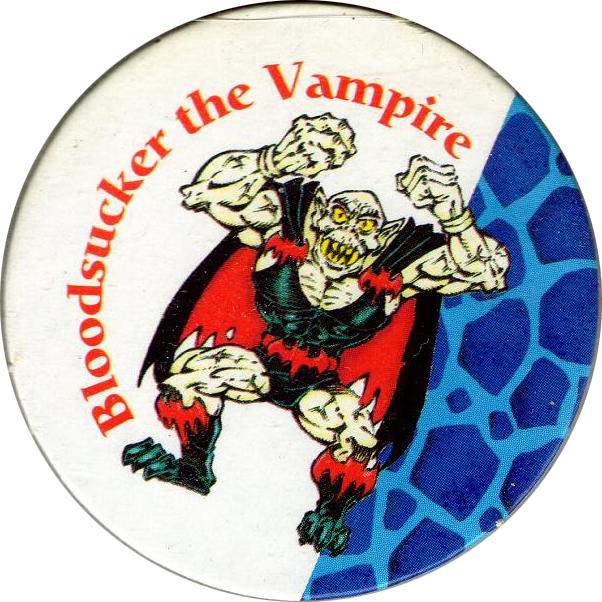 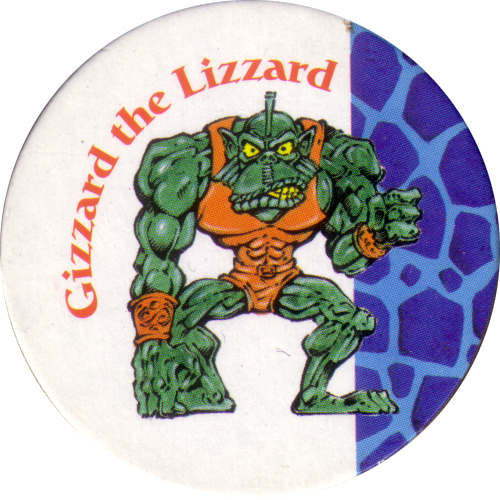 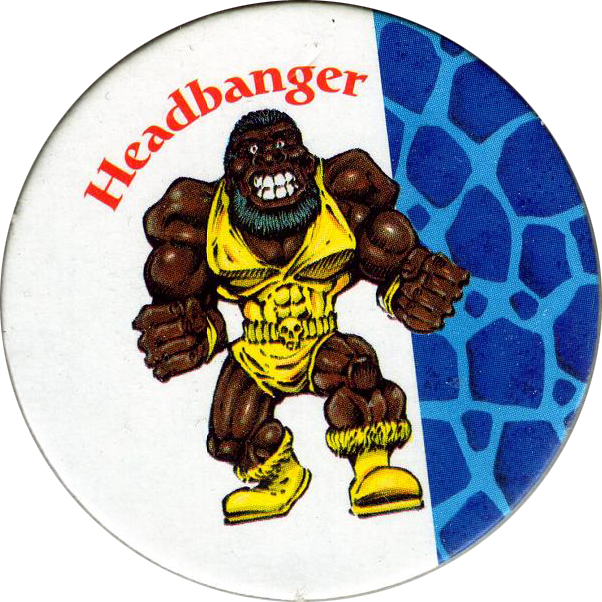 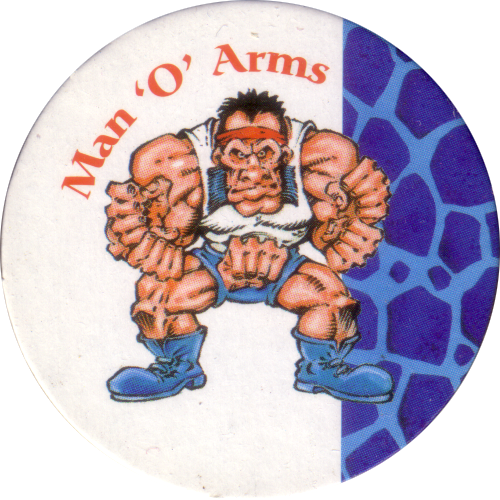 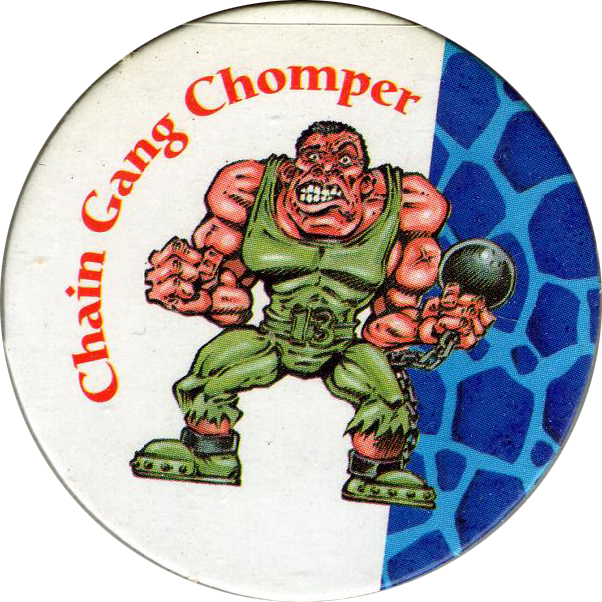 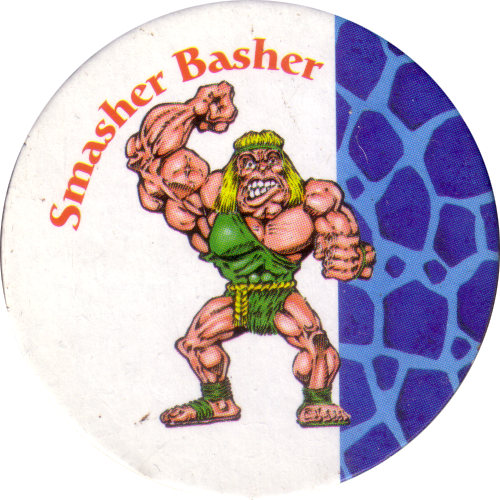 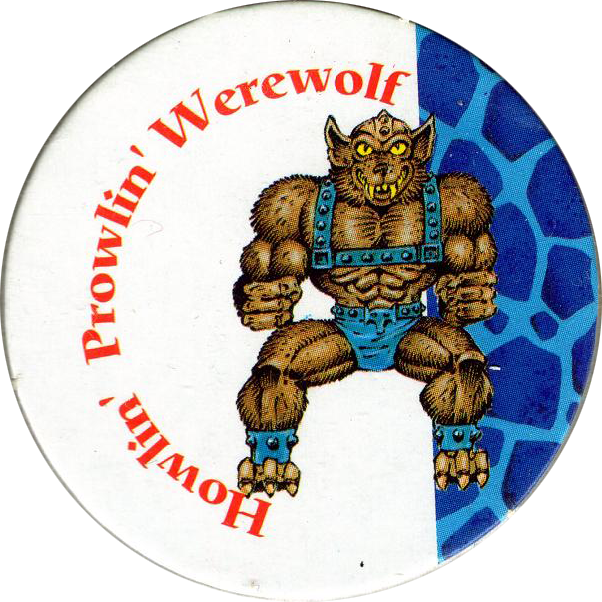 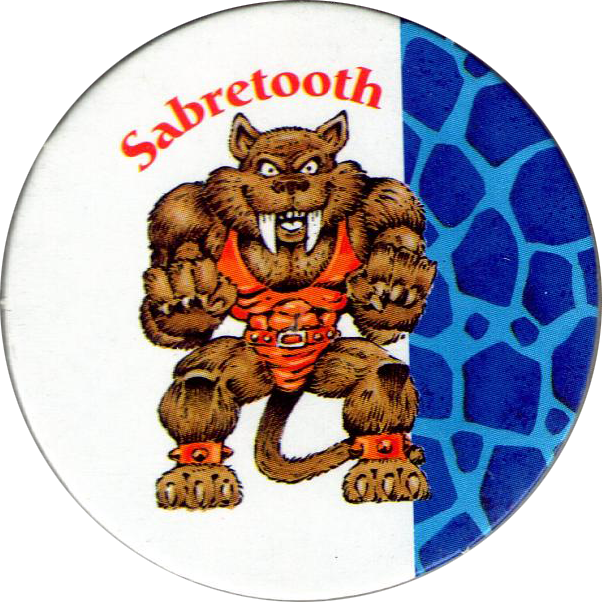 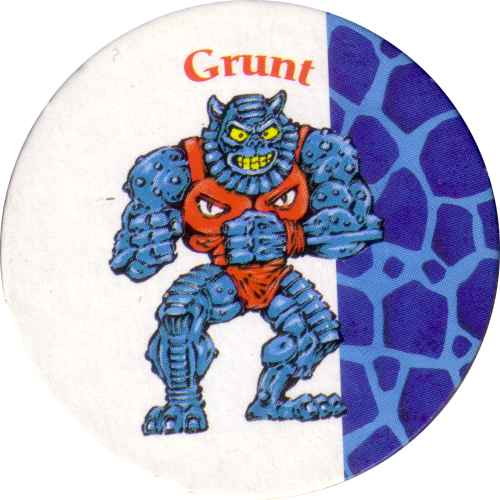 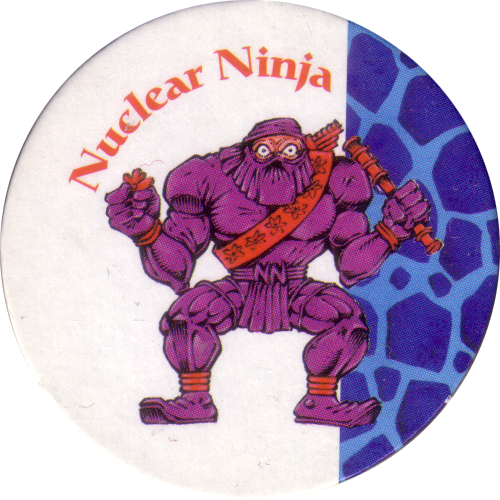 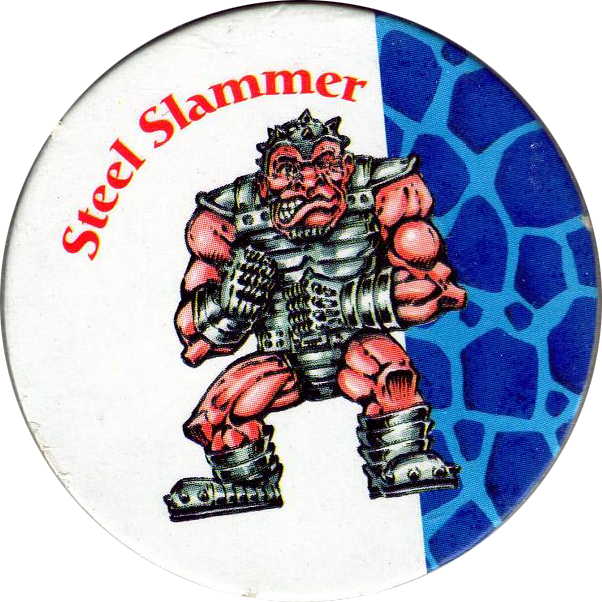 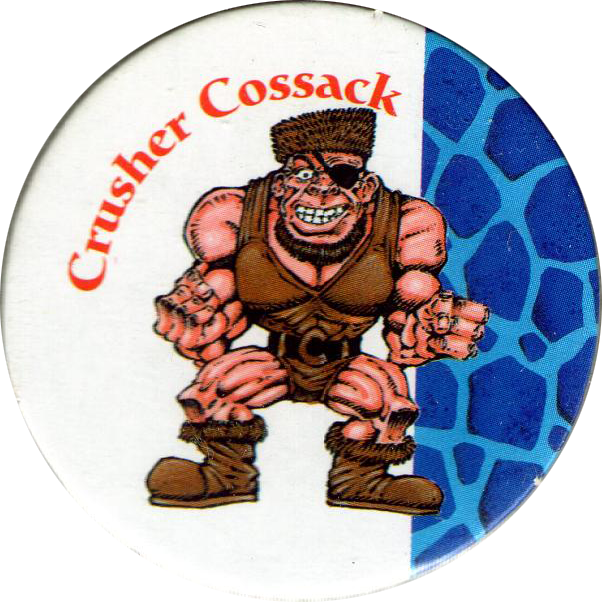 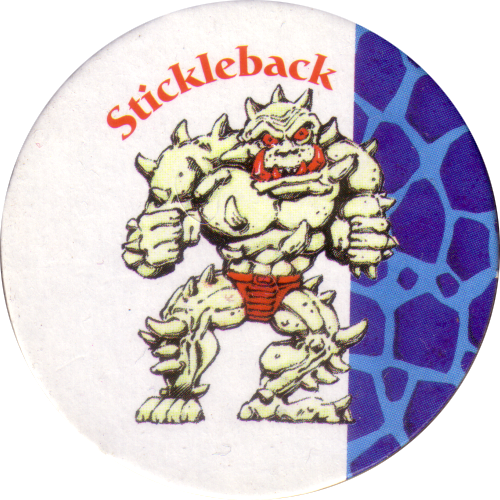 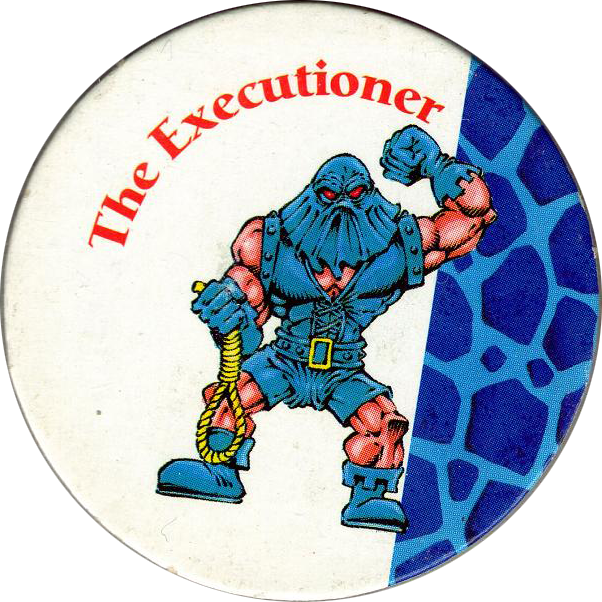 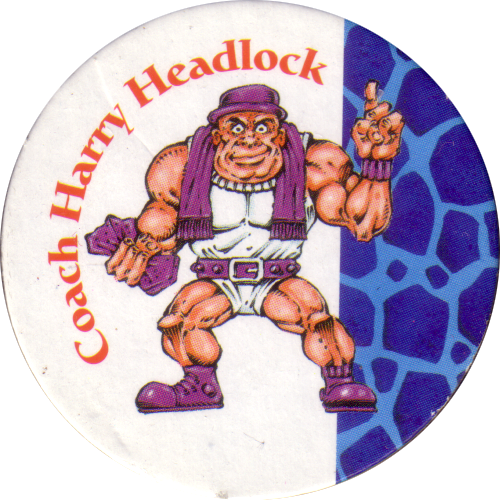 There were also various other 'in my pocket' series of pogs produced, such as Monster Ninja Warriors in my pocket, Puppy In My Pocket Slammer Whammers, and Pony In My Pocket.